Today, I took a walking tour of old Vienna, watched the choir rehearse, tasted a Sacher-Torte, ate the worst meal of the trip so far, and listened to the choir perform in St. Stephan’s Cathedral. 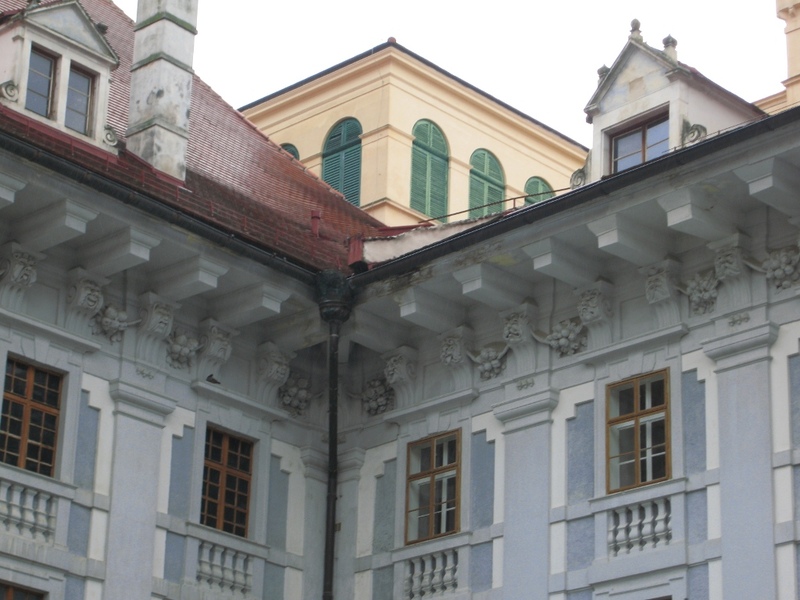 roof detail - Esterházy courtyard. Note the faces. The last post left us at Esterházy Schloß. Schloß is German for castle, and this castle housed the Esterházy family. You can tell from the diacritical “á” that they’re not Germans. In fact, they’re Hungarian, and Eisenstadt was part of Hungary until the Hapsbergs annexed it. Today, the castle is all about Haydn, who lived there. They have regular concerts and a lot of information about him. We will be in Hungary tomorrow. We left Prague two days ago. (I’ve completely lost track of what day it is.) 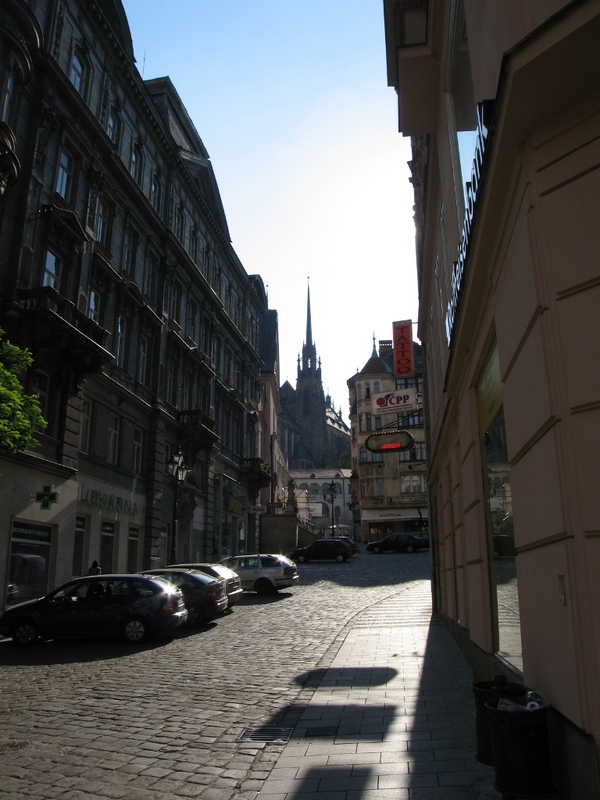 The bus took us to Brno, which is the second largest city in the Czech Republic. Nonetheless, it has a small town feel. We were just in Brno for one night. We had a couple of hours for sightseeing in the afternoon, then another hour in the morning. 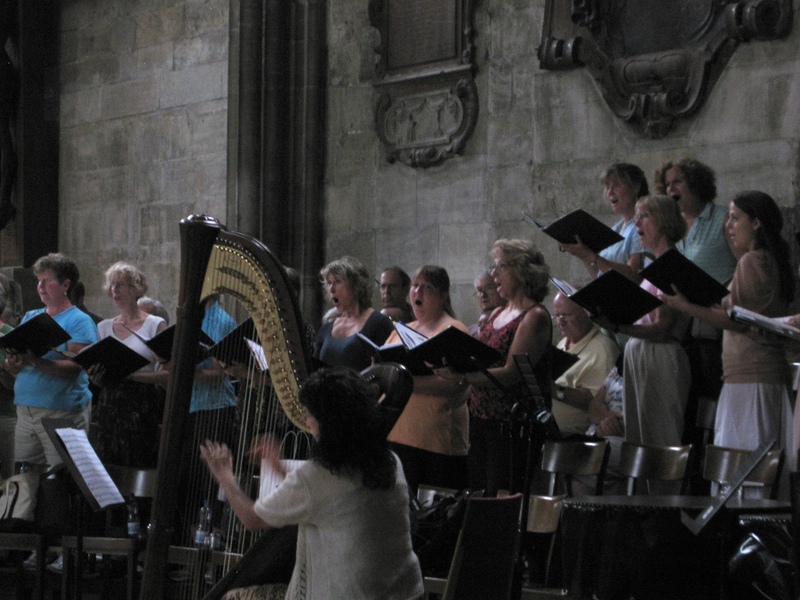 The choir performed in Brno, but I bagged that concert.